Cosmos has more than 40 years experience with the production and repairs of purse seines. Our well skilled staff understand the art of combining solid craftsmanship with the latest technology. At the same time all our materials are regularly tested for strength and durability. This way we can ensure that our purse seines are both extremely effective and have a long useful life. We make several types of purse seines: for herring and mackerel fisheries and special seines for Capelin. For several of our more distant markets, we export various spare materials such as nylon netting, ropes, purse floats, lead/zinc and purse rings. 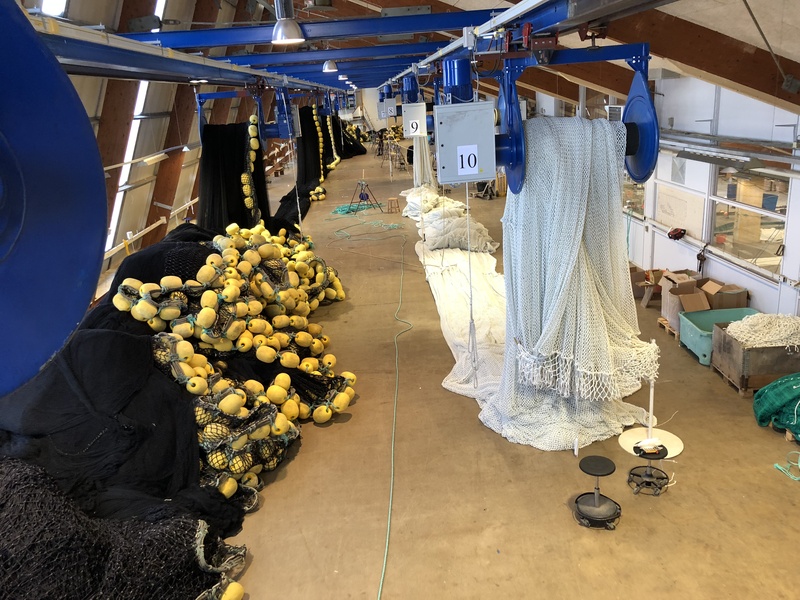 Our tailor made purse seines are in use onboard a long list of highly recognized purse seiners and purse/trawlers fishing in Scandinavia, the North Atlantic and West Africa, but we can naturally deliver anywhere in the world.